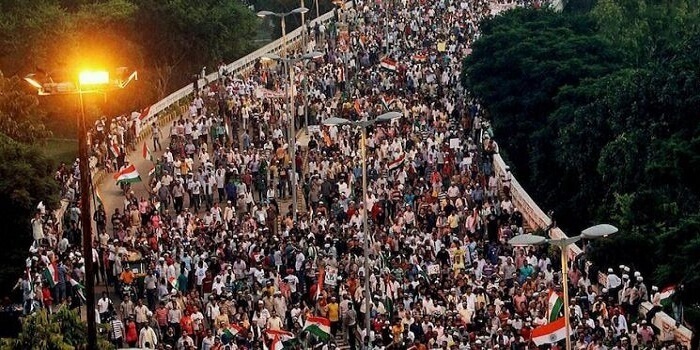 Millions of protestors in India are rising up against a ruling class determined to take away their rights. There is anarchy in the streets as the Indian government continue to lean on mainstream media to suppress the scale of events and cover up the chaos caused by their draconian ban on cash. Millions of Indians – the world's second most populous country – are revolting against new anti-cash laws that are designed to protect and enrich the top tier of the wealthy global elite at the expense of ordinary people. The country is in chaos as hundreds of millions of ordinary people are unable to access their savings. In a country where 98% of transactions are performed using cash, the sudden ban on cash transactions, and the withdrawal of cash from circulation, has created outrage. The protesters in India represent all working class people united, mobilized, and resisting the greed of globalist elites. There are reports of bankers being “locked up” by angry mobs and financial institutions across the country have appealed for police protection from the people. There is anarchy in the streets as law enforcement are unable to contain the scale and intensity of the protests. Police involved are violently fighting against the people and protecting the interests of the ruling class. According to an opinion poll published Monday, 98% of the population is against the new laws. 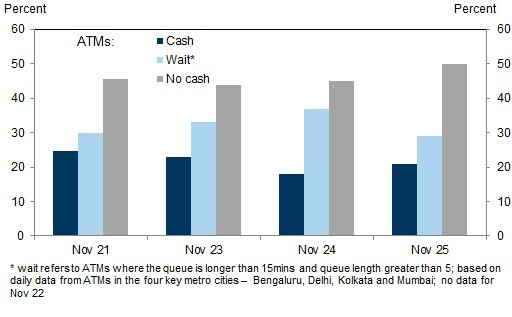 The majority of ATMs in India have had no cash since Nov. 8 as the situation continues escalating. Overnight, banks played down expectations of any improvement in currency availability, raising the prospect of queues lengthening as salaries get paid and people look to withdraw money from their accounts, the Economic Times reported. The central bank has said the banking system has received more than Rs 8 lakh crore in deposits by way of exchange of the phased out 500 and 1,000 rupee notes. There's no data on the value of new currency — in Rs 500 and Rs 2,000 notes — printed and distributed across the nation. The Prime Minister claims the initiative was aimed at tackling black money, counterfeit notes, corruption and terror financing, but detractors claim it is a New World Order tactic to gain control over the population. The Indian economy has been tanking, making the population even poorer, since the cashless society laws were introduced. The Rothschild controlled global banking lobby want a digital cashless system because this will give them even more control over us. India is being used a testing ground. Global bankers want to monitor and control every single transaction, while destroying real world currencies so they can issue money that doesn't exist, creating impossible financial burdens for the masses, all the while accumulating extraordinary real wealth and power for themselves. Populations relying on a fully digital cashless grid will be incredibly vulnerable in times of crisis. 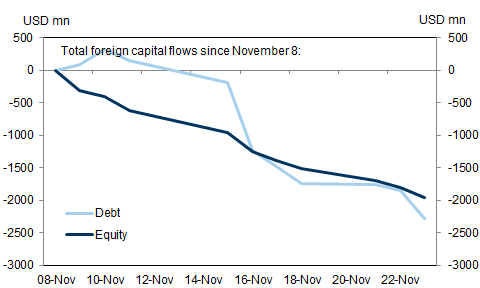 A terrorist or military attack, or even a storm or power outage, would mean the end of a functional economy. Payments would stop, the economy would grind to a halt, and life as we know it would end. A new, desperate climate would take hold, with entire populations left vulnerable and helpless, completely under the control of their government and the shadowy elites pulling the strings. Why would Western governments ban cash when there are such disastrous consequences for humanity waiting just around the corner? Because the shadowy elites and their banking cartels want us to be easily manipulated, cowed and controlled.